I think it’s safe to say that all of us were, are and will be experiencing stress and anxiety for various situations, such as preparing for a big test, looking for a job, making a proposal and etc. People who have too much stress and anxiety over long periods of time may result in negative physical and psychological outcomes. Therefore, it’s of great importance for us to properly manage pressure. There are all kinds of techniques to cope with stress and anxiety, which varies from person to person though. For me, I often take deep breath, put on some relaxing music and meditate for some time. Here I am going to recommend the top 100 relaxing music on Spotify and introduce a simple way to download and save them as MP3 files so that you can listen to them on your local computer or transfer them to any other devices for offline listening as you wish. With Spotify Free, as we all know, we are limited to listen to the DRM-encoded songs on Spotify App under well-connected network. How can we decode the music to MP3 format so that we can listen to them offline on any other media player? Let’s move on to find out the solution. Click button "+" or click the center of NoteBurner. 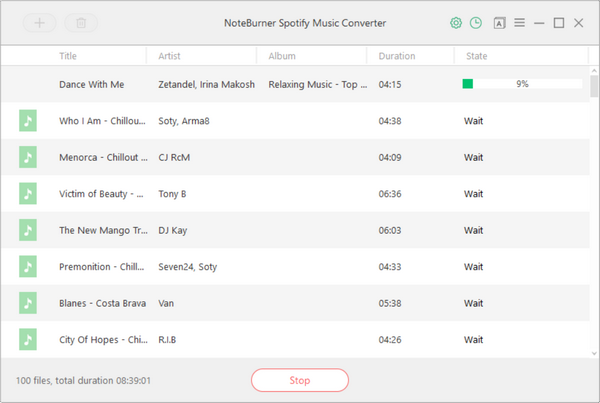 Simply copy and paste or drag and drop the playlist link of "Top 100 Relaxation Music" from Spotify Free to NoteBurner Spotify Music Converter. Click the "Settings" button on the upper right. 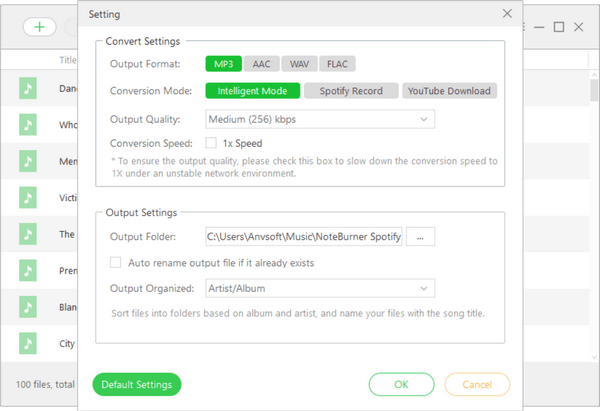 Here you can choose output format (MP3/ AAC/ WAV/ FLAC), output quality (High 320kbps, Medium 256kbps, Low 128kbps) as well as the output path. Please choose MP3 as the output format here. 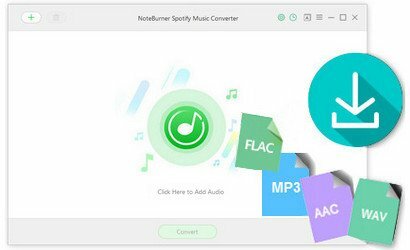 Click button "Convert" and soon you will find the songs converted & downloaded in MP3 format and saved in the output folder you set in previous step. 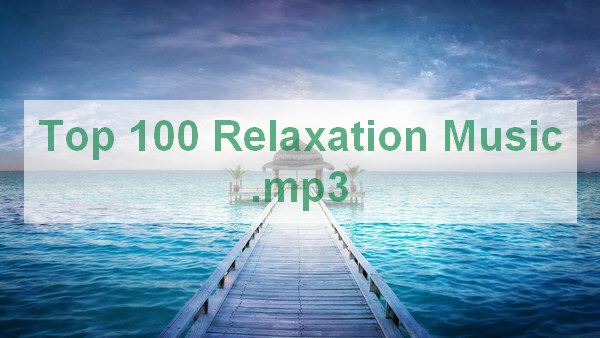 By clicking the history button (like a clock) on the upper right or directly going to the output folder you customized in Step 3, you can find the Top 100 Relaxation Music saved as .mp3 files. 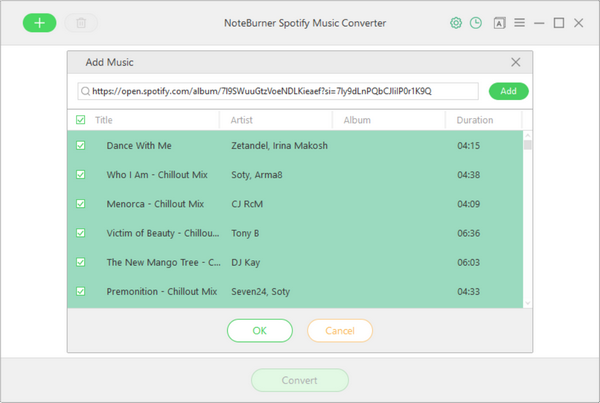 Now you've got the DRM-free Relaxing Music on your local computer, you can listen to them offline with any media player or transfer them to any other devices. Whenever you feel nervous, just take a deep breath, put on the music and meditate, soon you will find everything is getting better.